THE SKINNY: The bad thing about up and chopping your hair into a pixie is you have to go through a whole bunch of styling products until you find one that does what you need. 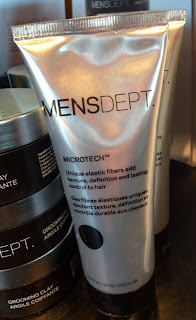 My hair stylist swears by MensDept. 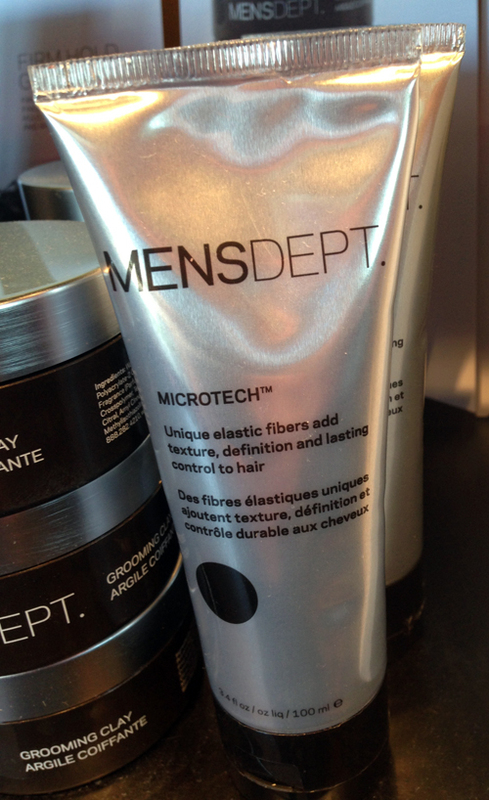 Microtech, which provides medium-plus hold and adds texture and shine. And it looked great when she dabbed a little on my freshly shorn locks. It did add a little shine and a lot of texture. But in my hands, this product has been a minor disaster. No matter if I use a little or a lot, my hair ends up looking heavy, greasy and sad. And it gets worse as the day goes on. It's a good thing, really. This product smells like men's cologne, which is off-putting for a girl. KEEP OR TOSS: Toss. I don't have the patience to keep playing with the sample. CHECK IT OUT: Find styling tips on the MensDept. website.